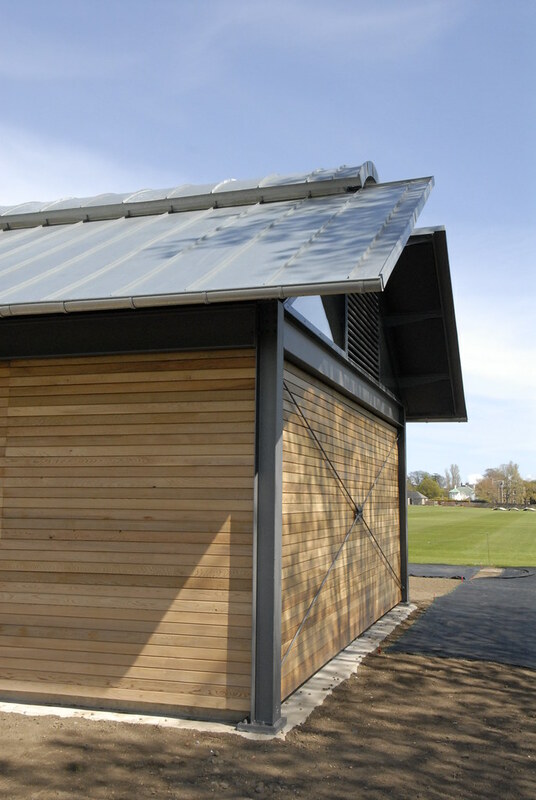 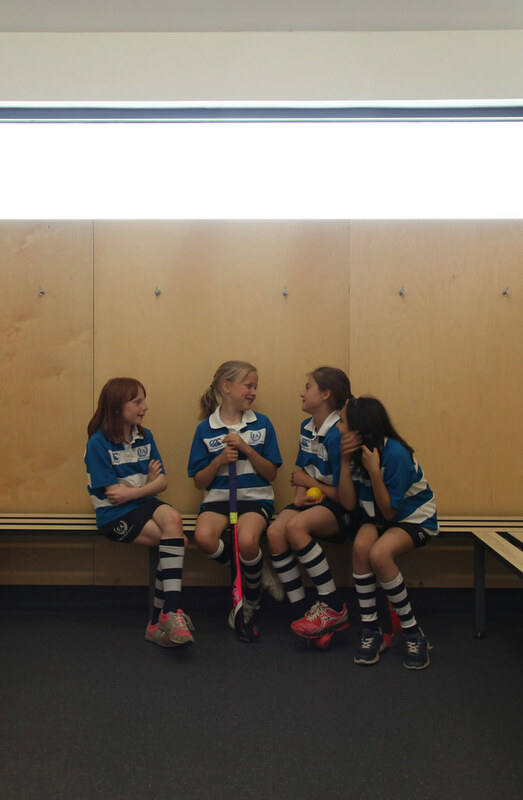 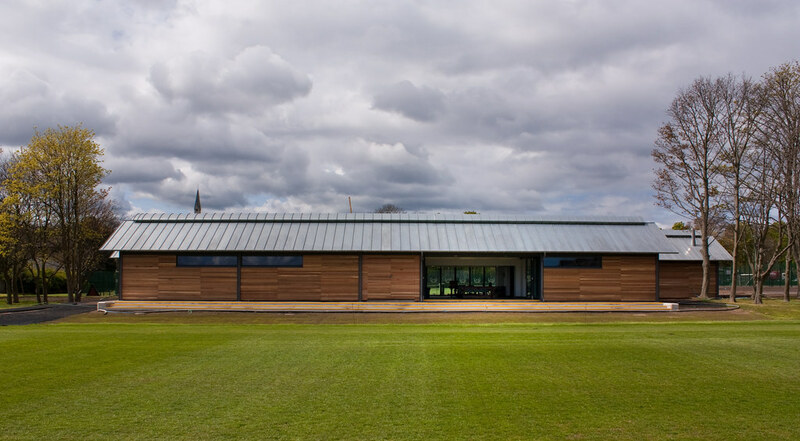 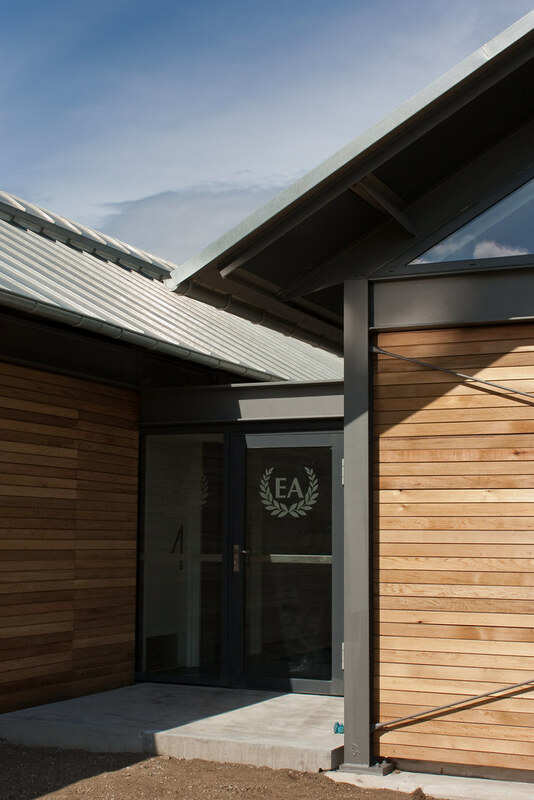 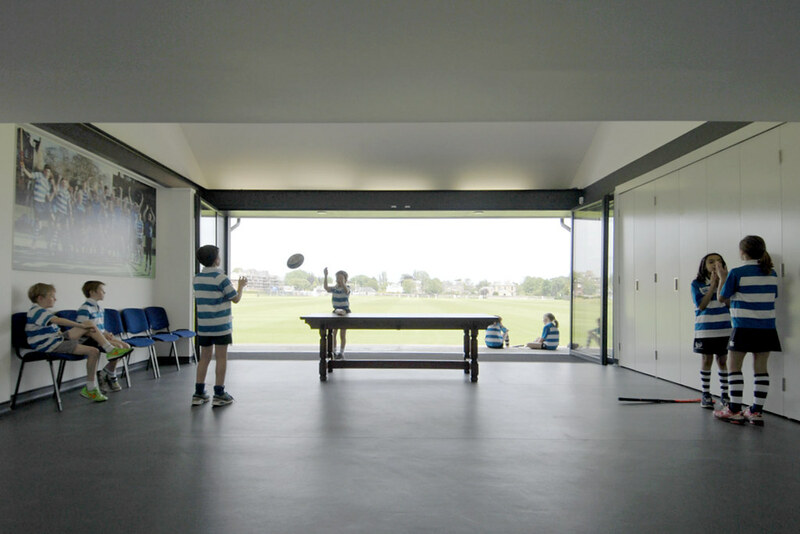 Sport has long been an integral feature of life at Edinburgh Academy, and the client's aim was to bring their sporting facilities up to the highest level, starting with this project to create a new Hockey Pavilion. 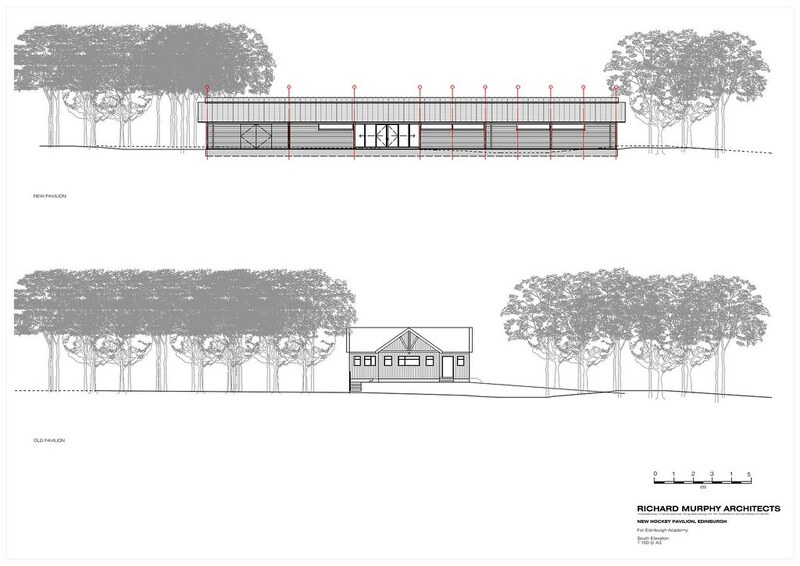 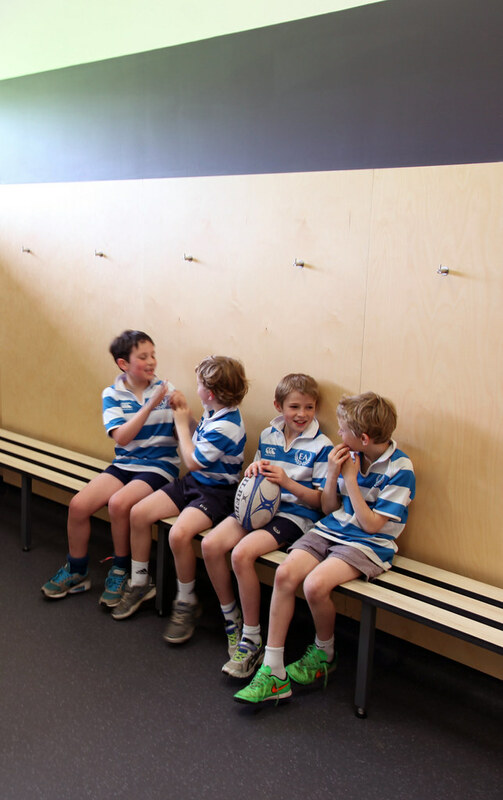 The design involves the replacement of the previous sports pavilion on the site with a new fit for purpose facility, incorporating six changing rooms, ancillary accommodation including a first aid room, referees changing space and storage. 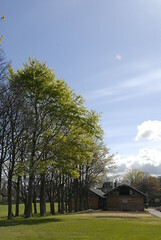 The previous pavilion occupied an area of ground located centrally in the overall Newfield Playing Site within a line of trees that runs from North to South. 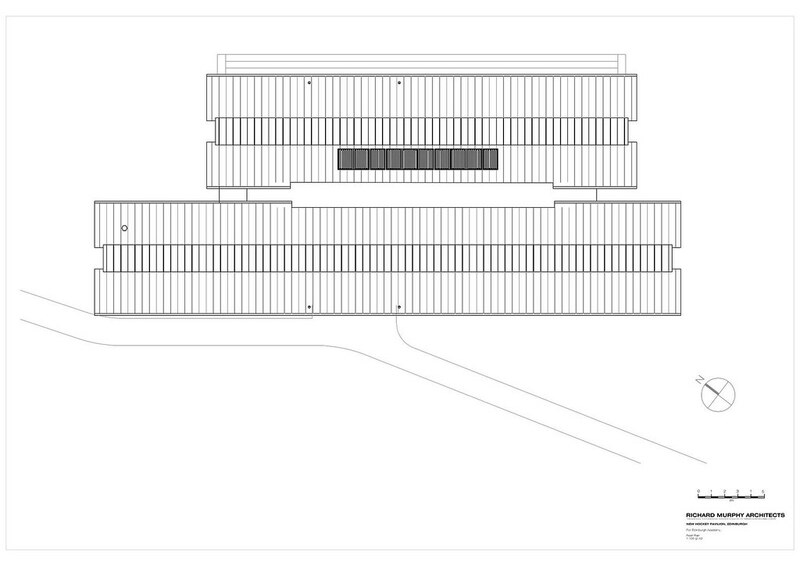 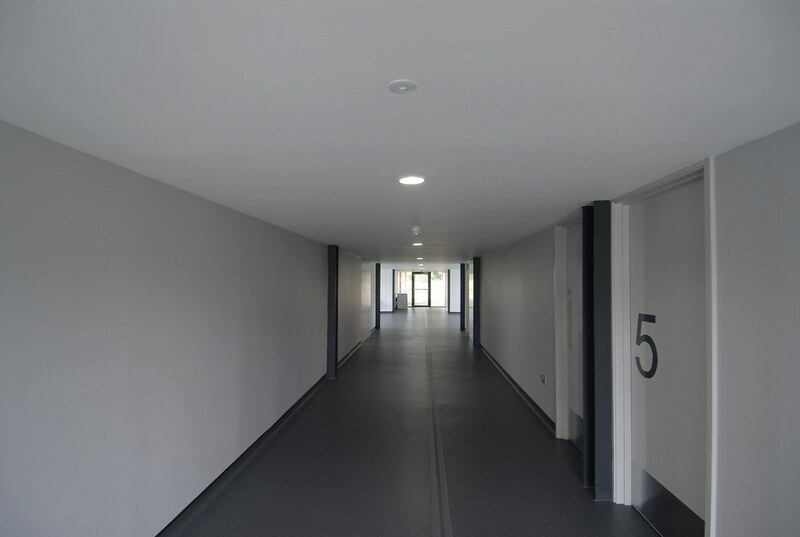 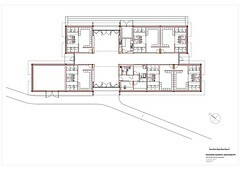 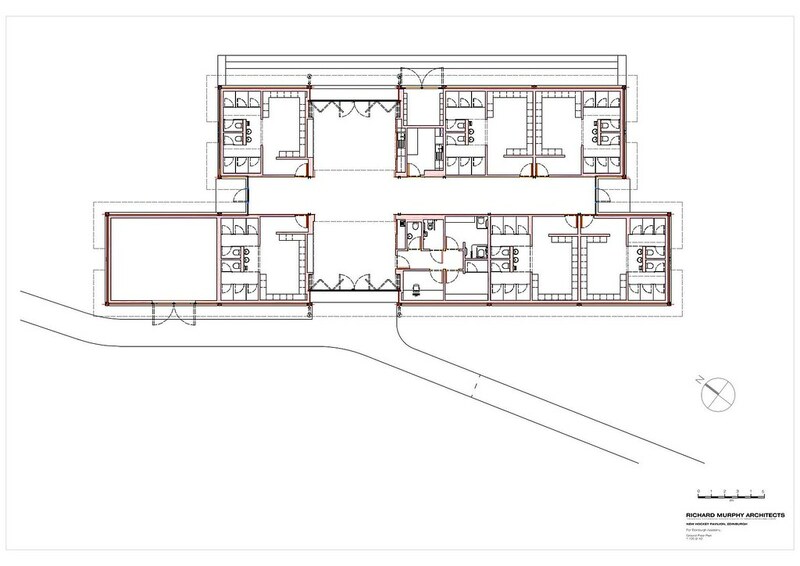 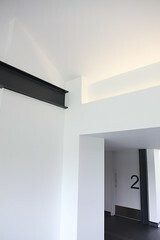 The new building provides additional accommodation and although resulting in a larger footprint than the previous, this is mitigated in the new building being perceived as being long and low ‘ground hugging’. 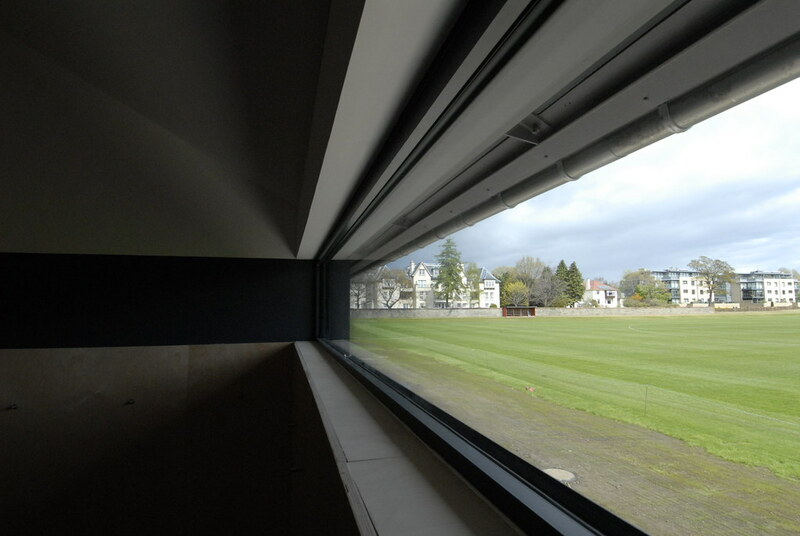 The previous building was in some ways a ‘landmark’ in design - with the building sitting on a significant raised plinth and occupying an elevated position overlooking both the Hockey and Rugby pitches on the site. 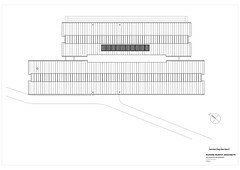 The new building does the opposite, staying low to the ground and as a consequence offers a significantly reduced ridge height. 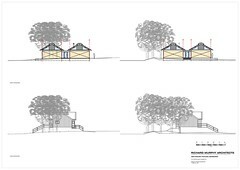 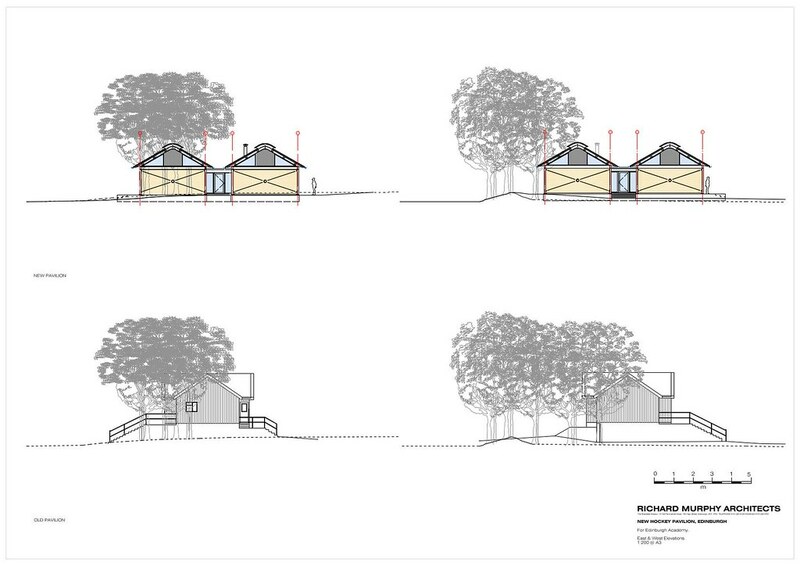 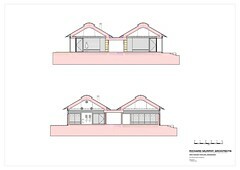 The building has been deliberately orientated on a North South axis on par with the treeline, so as to minimise the visual impact on residential properties by offering its smallest gable elevation to the North and South boundaries. 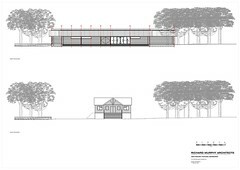 In this way, key views are protected and the natural heritage and perceived open green space of the site is maintained from these key neighbouring boundaries. 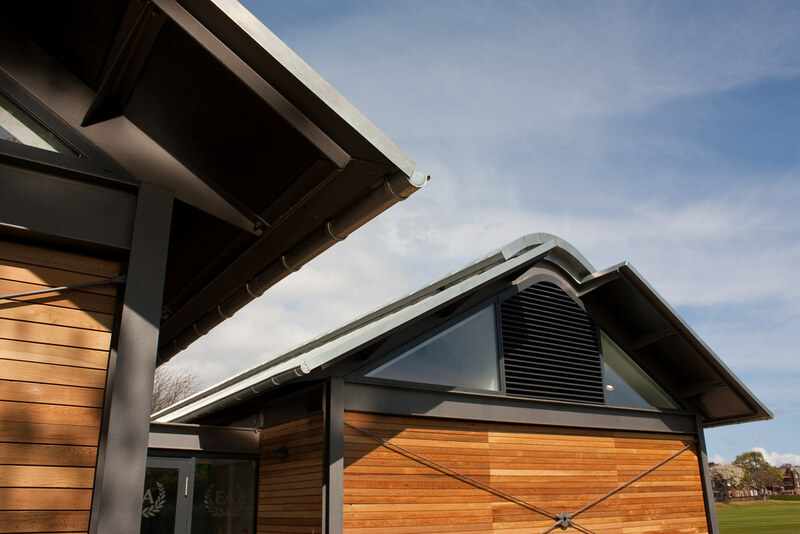 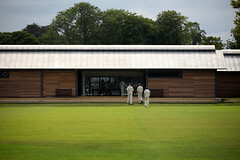 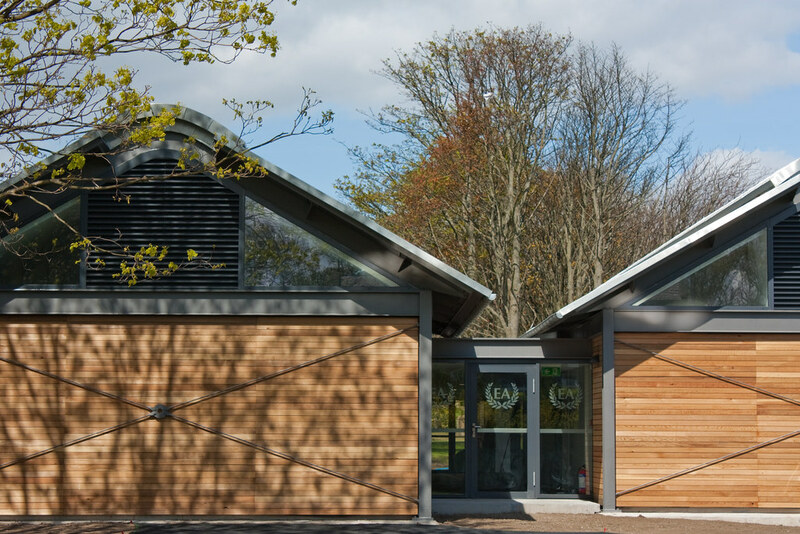 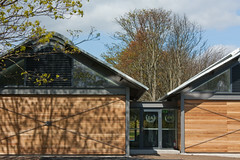 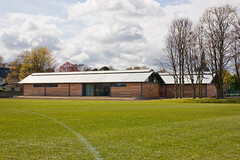 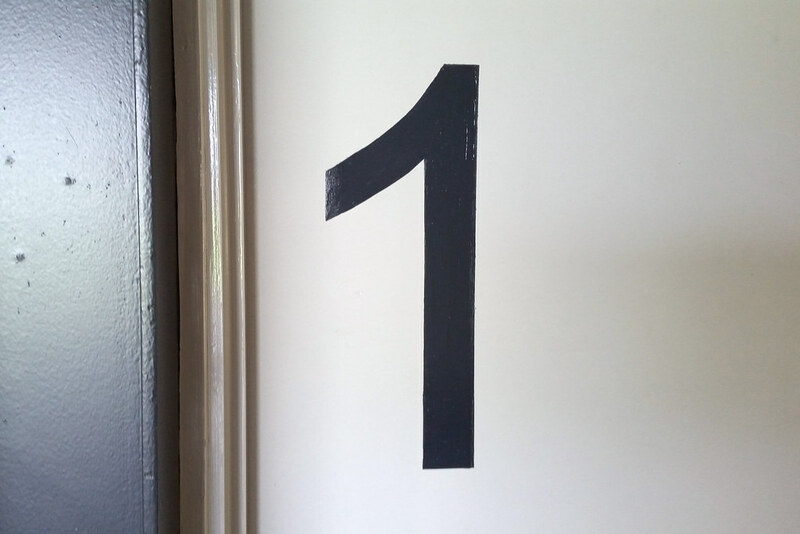 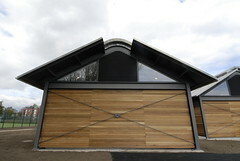 This orientation is also key in the setting of the building when viewed from a distance from East Fettes Avenue, to the West and across the Rugby pitch area to the East. The design intent here has been to see the building as part of the landscape and for it to be set and read as part of the existing tree line with the trees providing a backdrop to the new buildings. 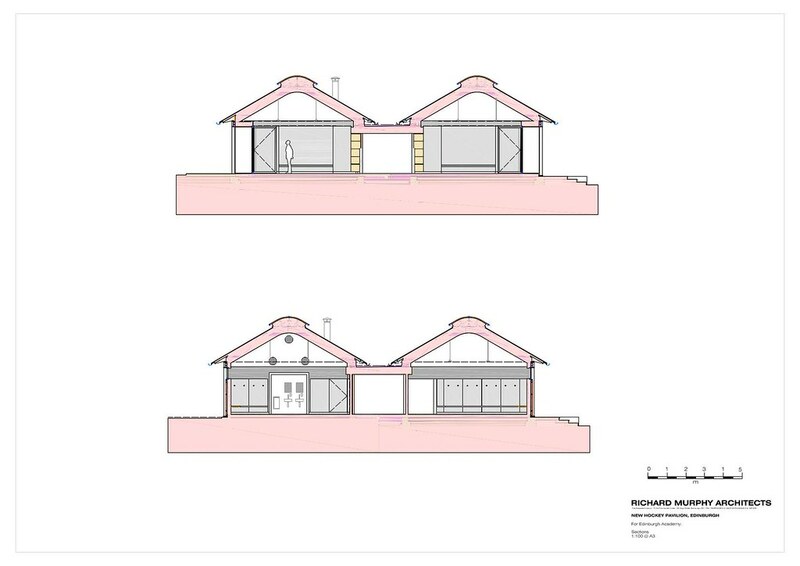 This project was completed and handed over to the client in May 2015. 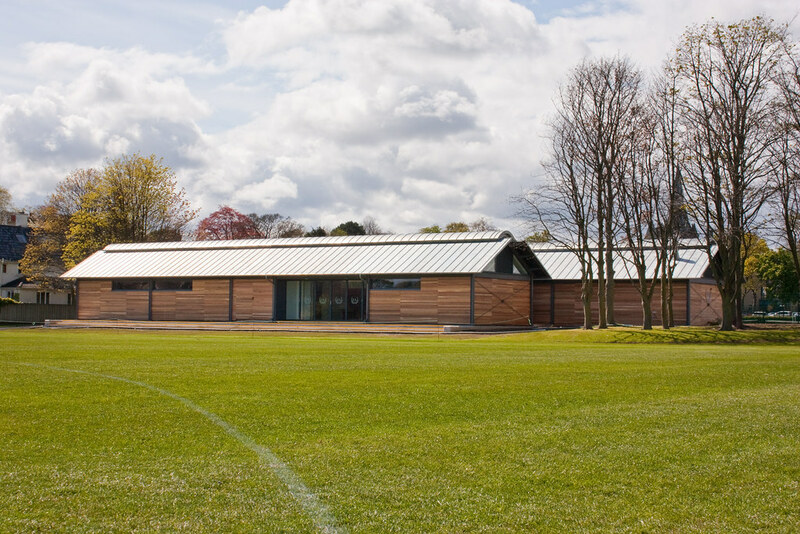 Also on the Newfield Playing Area is the Edinburgh Academy Rugby Pavilion - construction has now commenced, following completion of the Hockey Pavilion. 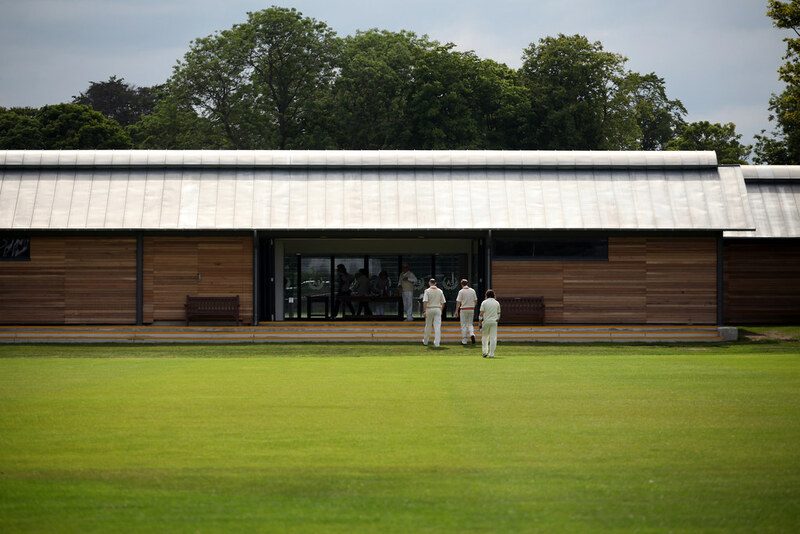 The Rugby Pavilion can be viewed by clicking here.